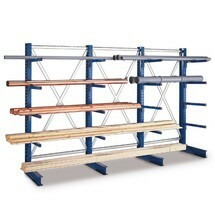 Do you regularly have to store long goods in the form of heavy pipes or beams? Then special racks are a great help. 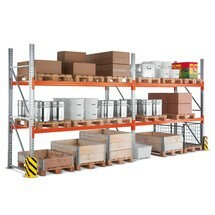 The base unit of the META cantilever rack with a load capacity of 150 kg is ideal even with limited storage space. 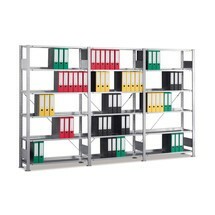 The boltless META filing shelf is among the most versatile rack systems in our range. 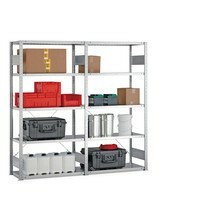 The single-sided base unit is easy to assemble and can be expanded with add-on units to suit your individual requirements. 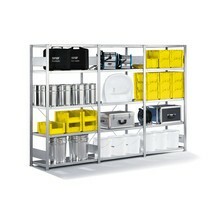 This ensures that you always have the perfect storage solution for your needs. META file shelves are among the most reliable and functional archiving solutions on the market. 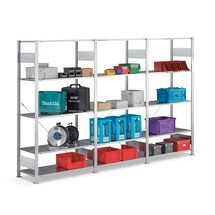 The shelves are quickly and easily assembled thanks to an intelligent bolt system. 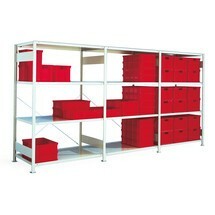 The painted base unit can be easily expanded when required.